Holyrood Distillery has reached another major milestone in its aim of bringing back malt whisky distilling to Edinburgh, with the recruitment of a top team of whisky and drinks industry experts. 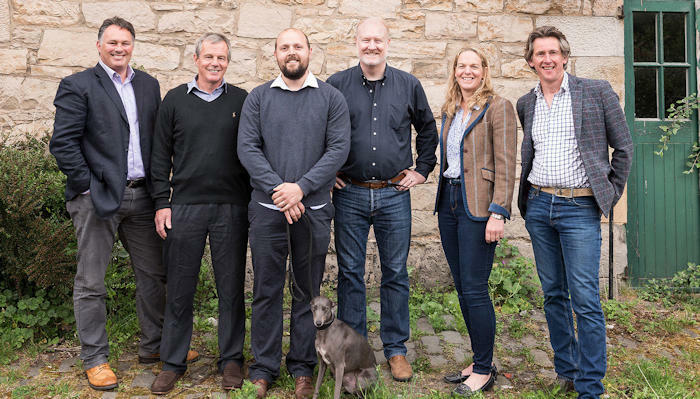 In a major coup for the project, Holyrood Distillery has recruited three of the whisky industry’s leading lights including Jack Mayo as Head Distiller, Bill Farrar as Sales and Marketing Director and Laura Anderson as Director of Finance. Jack Mayo has joined the Holyrood team as Head Distiller, arriving after three years at Glasgow Distillery. Jack’s innovative approach to experimenting with flavour combinations aligns perfectly with Holyrood’s desire to build its brand with an emphasis on flavour and creativity. Bill Farrar joins as Sales and Marketing Director with 30 years of experience in the drinks sector, most recently holding the position of Managing Director, Super Premium for The Edrington Group. Prior to this, Bill was the Group Sales and Marketing Director, with responsibility for global sales, marketing and distribution of The Macallan and Highland Park single malt brands as well as Famous Grouse and Cutty Sark blended scotches. In his new role with Holyrood Distillery, Bill will focus on growing sales through the on and off trade, in Scotland, the UK and overseas. Laura Anderson has joined the team as Director, Finance and is responsible for all financial matters related to the distillery’s fundraising and financial controls. Laura is a Chartered Accountant and has a long history in the whisky industry, having worked with Edrington in roles as diverse as Commercial Analyst; Director, Global Pricing and Brand Protection and most recently as Head, Super Premium Strategy Development. Also providing advice to the Holyrood team is well-known botanicals expert Hamish Martin, owner of Edinburgh’s Secret Herb Garden, and former co-founder of Inverarity Vaults, once Scotland’s largest independent wine merchants. Holyrood Distillery recently launched a £5.5 million funding drive to help fund the balance of its ambition to create a distillery and pioneering visitor centre, spanning 11,969 sq ft, in the heart of Scotland’s capital. A joint development by David Robertson, former Master Distiller for The Macallan, and Rob and Kelly Carpenter, founders of the Canadian branch of The Scotch Malt Whisky Society, Holyrood Distillery will be Edinburgh’s first single malt whisky distillery since Glen Sciennes closed in the 1920s. The distillery will produce a range of single malts, gins, liqueurs and other spirits. Its innovative approach to ingredients, distilling processes and maturation will set Holyrood apart from more traditional approaches. << Single Malt Whisky Distilling Returns to Edinburgh after 90 years.